You’ll notice at the bottom of this post that we’ve been plugging our Facebook page LuvTheCheapies. It’s a page dedicated to those cheap sedans and station wagons that your Father always bought while the neighbors were driving the fancy stuff. 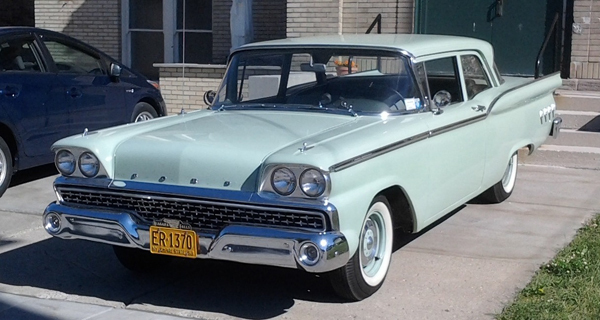 This 1959 Ford Custom 300 Tudor definitely fits the description, and you’ll be able to see it (and many other cheapies just like it) later today on FB. This one was parked in front of our church last Sunday in Tonawanda. Jim Corbran, RRofWNY Check out our new Facebook page: LuvTheCheapies The post RealRides of WNY appeared first on Buffalo Cars.